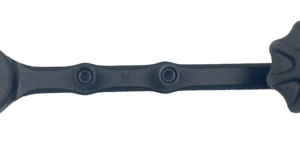 Mission® Crossbows partnered with Clean-Shot™ to design a lighted nick for use with our bolts. With the addition of a lighted nock you can now track the flight of your bolt in low-light conditions. They come in a package with 3 bolts already assembled with nocks. This is the strongest, most accurate and effective bolt for Mission Crossbows. Compatible with the 400. Mission’s Universal Crossbow rope cocker. 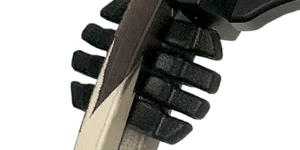 The cocking device is quick and easy to use, and will work on most of today’s compound and recurve style crossbows. 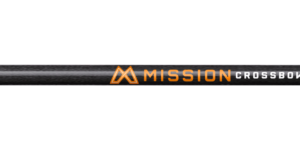 Mission® Crossbows arrows have been specifically optimized to be the best performing arrow for Mission® Crossbows. 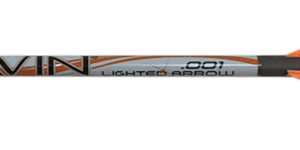 They are weight matched and utilize brass inserts, half-moon aluminum nocks, and 100% carbon shafts. This is the strongest and most accurate arrow for Mission® Crossbows! Heavy duty neoprene nylon strap with a rubberized, reinforced, non-slip back. Fully adjustable and comes with 1 inch QD swivels. Shoot more accurately with the precision bow mounted level. 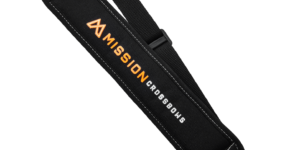 Mission® Crossbows leads the industry with the first-ever silent mechanical cocking device for crossbows. The patent-pending RSD™ fits all Mission® Crossbows and can be installed or removed in a matter of a few seconds. 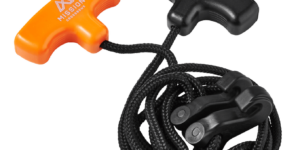 In addition to being completely silent, the RSD™ improves accuracy through the use of a floating rope-pull that ensures equal tension is applied to each side of the bowstring during the draw. Built with high-strength 100% pure premium carbon construction. 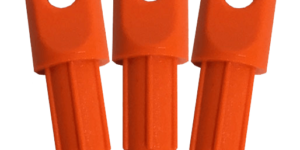 Includes high-impact Ravin polymer nocks, brass threaded inserts and aluminum nock bushings. 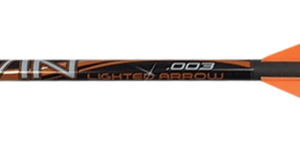 These standard, 20” .003 arrows are included with the bow from the factory. 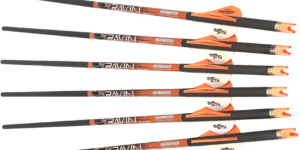 Designed specifically for Ravin crossbows. 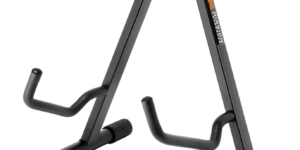 Mounts on either side of the stock for left- or right-handed use. 100% pure carbon construction. Straightness tolerance: .003”. High-impact brass threaded inserts and aluminum nock bushings. Features 2” high-profile offset vanes and Ravin-engineered lighted nocks. Extend the life of your crossbow by increasing stability and shock absorption. Simply seat the limb dampeners between the Ravin limbs next to the riser pockets. This quick and easy installation gives you a quieter, smoother shot immediately. UV & weather-resistant tactical black construction. 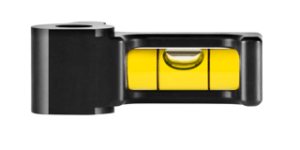 Designed for superior accuracy, speed, kinetic energy and durability. High-strength 100% pure premium carbon construction. Includes high-impact Ravin polymer nocks, brass threaded inserts and aluminum nock bushings. 20” length. 100% pure carbon construction. Straightness tolerance: .001”. High-impact brass threaded inserts and aluminum nock bushings. Features 2” high-profile offset vanes and Ravin-engineered lighted nocks. 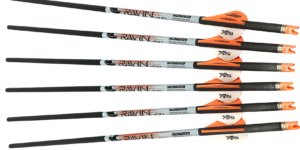 Designed to replace ONLY Ravin lighted arrow nocks in Ravin lighted arrows. 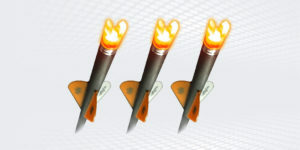 LED illuminated nocks powered by Nockout® technology. Contain a built-in lithium battery. Ultra-bright orange color is easy-to-track in flight. High-impact Ravin engineered polymer construction. Designed to lock into Ravin’s unique Trac-Trigger Firing System.